Very friendly host, Mr Manos. The room was large and very comfortable. There's a nice big pool, with good music, and a handy menu. It's a great value and I'd go back. The location of the hotel is fantastic and the view breathtaking. The room eas kept very clean and Manolis the receptionist-pool manager was very friendly. The area around the pool is nicely decorated and you can spend hours there. cleaned and friendly. high recommended this apartment. We didn´t eat breakfast. But had a wounderful stay, And Manos did take verry good care of us. We got verry good help whith everything we needed. We wish to travel back next year to Everst apartments. The view is amazing and the hotell is wounderfull for a relaxing stay. Apartment and pool area were spotless. 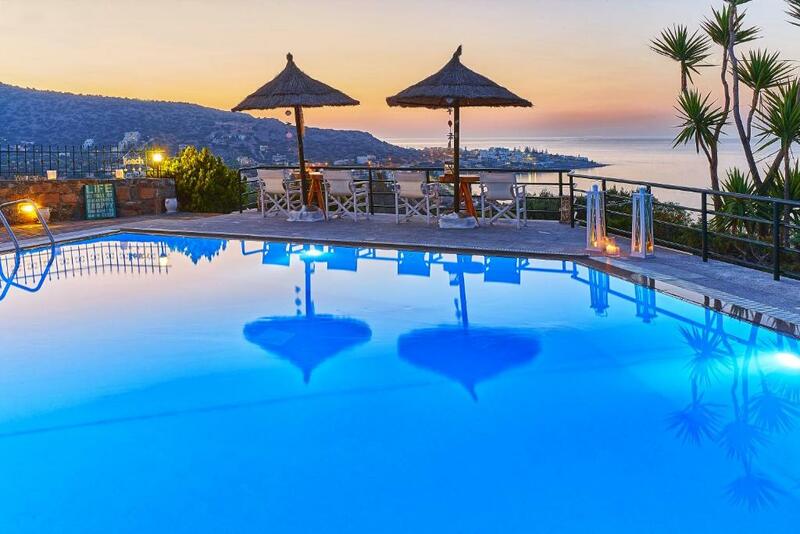 Amazing views from the balcony. Manos was great and looked after us so well. Very friendly staff, fantastic pool and views. Cleanliness and apartment facilities were excellent. Helpful and friendly staff. Large clean rooms with aircon. Excellent view over the bay. Nice pool. Staff were very friendly and couldn't do enough for you. Very clean apartments, and the daily cleaning was very thorough. The views from our room were brilliant, I wouldn't worry about the small hill leading to the apartments and this would not put me off retuning to Everest. 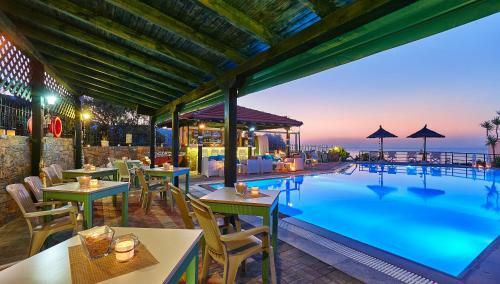 What to say?everything was perfect.the view was FANTASTIC!very big appartments fully euiped.The staff was very helpful and kind to assist you with anything you ask.very nice pool and i recommend this hotel to everyone.For sure when i visit again the amazing crete i will stay to Everest. There was so much to like it is difficult to state it all. We arrived late at night after the transfer driver, a really friendly guy called Nikos, was waiting for us and even stopped on route for us to get some food. On arrival, the owners, Antonis and Maria greeted us and showed us the apartment, which was nice and cool as they had put the air-con on for us and there was some tea, water and beer in the fridge. The views were amazing, the cleaner did a great job and Manos ensured expectations were exceeded as he did his best to satisfy any requests. If you want a relaxing holiday in beautiful surroundings, this is for you. Fantastic accomodation! Lock in a great price for Everest Apartments – rated 9.3 by recent guests! 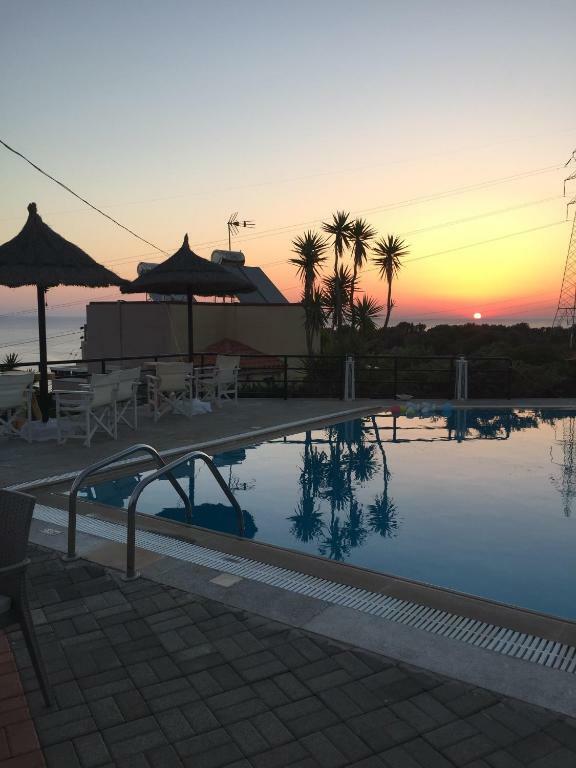 One of our top picks in Stalís.Only 650 feet from Stalida Beach, in a peaceful environment, Everest Apartments features a spacious swimming pool and a snack bar. It consists of self-catered accommodations with views of the Cretan Sea from their balcony. A poolside playground is available, while free WiFi is provided in the pool area. The Everest Apartments are well suited for those who wish a tranquil place away from the large tourist resorts of Greece. Guests can enjoy the privilege of a private swimming pool just next to the apartments. 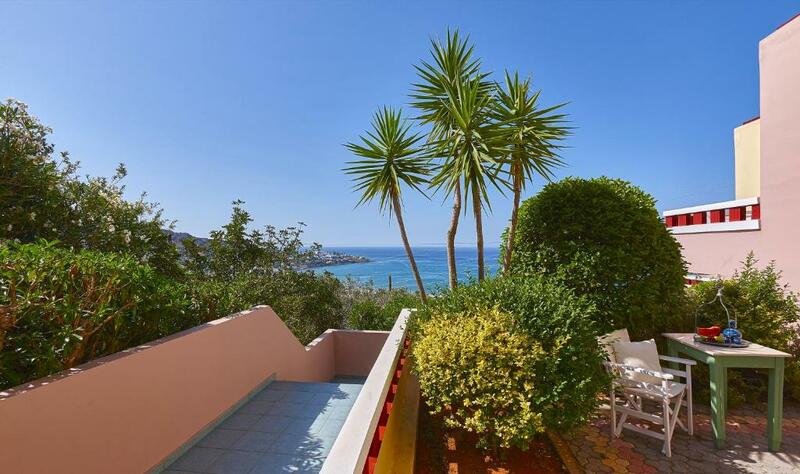 Each opens to a blossomed patio and balcony with sea views. There is also a playground where the children can spend their time. Guests can start their day with continental breakfast on request, while refreshing drinks can also be enjoyed at the on-site bar. Stalida is a relaxed town and still manages to boast a fine variety of bars and taverns. It is also popular for its long sandy beach. 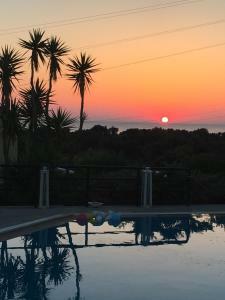 If you are looking for a quiet and relaxing holiday experience, Stalida is the right option for you. 뀐 Located in the top-rated area in Stalís, this property has an excellent location score of 9.0! When would you like to stay at Everest Apartments? 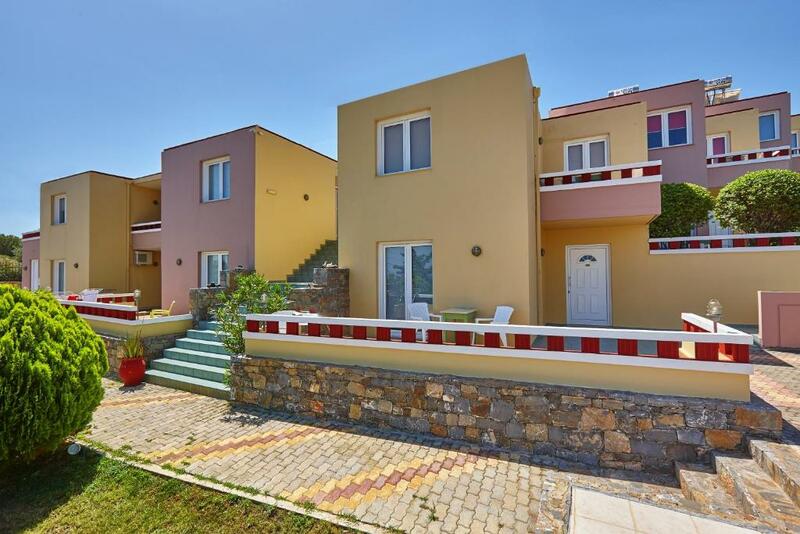 Featuring a balcony with Cretan Sea view, this air-conditioned apartment consists of a separate bedroom and a well-equipped kitchenette with a seating area. The spacious bathroom is fitted with a shower and hairdryer. 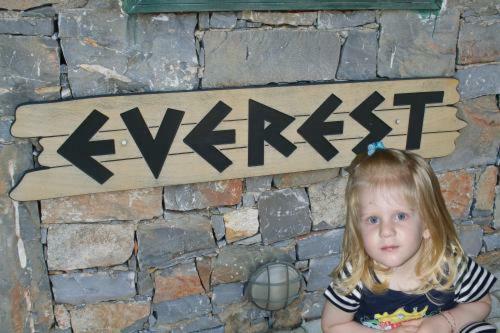 House Rules Everest Apartments takes special requests – add in the next step! Everest Apartments accepts these cards and reserves the right to temporarily hold an amount prior to arrival. Please let Everest Apartments know your expected arrival time in advance. You can use the Special Requests box when booking or contact the property. Had some mosquitoes in the room. I'd left the door open while dining on the patio. Don't do that! We had a great stay at the apartment complex. Thank you, Manos, for your kindness during our stay! 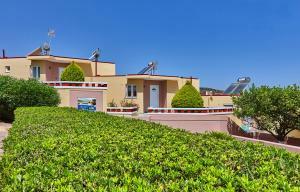 The complex is comfortably located on a hill within walking distance to the sea and a supermarket near the main road. It’s a good several minute exercise walk up the hill, but we did not have a problem with it and our 7 y.o. daughter was not complaining. The cleaning lady did a great job on the rooms daily: clean towels and sheets, and the apartment was always refreshed. Personal big "thank you!" to her for that.. she was very friendly as well. Swimming pool area has a great sea view (just like all apartments, we liked our balcony!) and was very cozy - we enjoyed it even at late hours by just watching the stars above. There is a good beach nearby in Stalis, but if you rent a car (easy and the cheapest to do it with Manos) you can enjoy many nice places and small and spacious beaches of Crete. 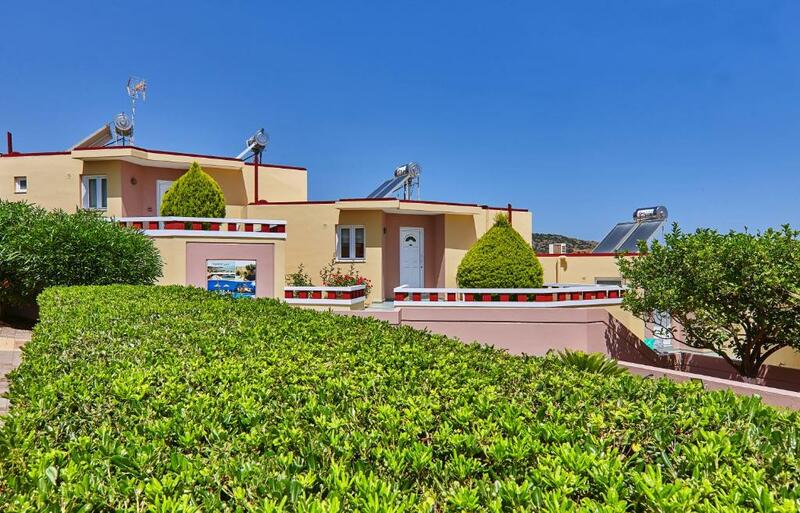 We also liked how quiet and nice it was in the complex even though it was fully booked – no laud noise from next door neighbors, everyone was very friendly and polite and tactful - good families. The only thing to suggest is – please set up mosquito nets on all windows, so guests could keep them open during the night as it is always good to sleep with some fresh air coming in (days and evenings as well). Our AC worked well in the living room, but we had our child sleeping in it, so could not keep it on for a long time. Thank you for your hospitality! Poor Internet in the room. Also the room balcony is without shade the whole day, so actually you have to move all the furniture to enjoy your breakfast outside. Prices of food and beverage at pool are quite high. Not much. Some may find the hill hard work without a car, but we actually found it good excercice. Also the pool opening hours initially seem late at 1200 but in reality Manos opened it just after 1100 and we were rarely ready to go in before then anyway. Amazing view, big bed, friendly helpful staff, good food. Super relaxed ! Very friendly people . Good location to go east or west for sight seeing. Nice view over the sea, very clean apartament,nice swimming pool with nice view and cool drinking bar be side.